What Programs Do We Fund? Pound Ridge Historical Society's programs offer something for everyone and are focused on sharing and celebrating the rich heritage of Pound Ridge. Our volunteers take a trunk full of interesting artifacts and toys from our collection to the Pound Ridge Community Church Playschool and talk about how it was to grow up in this town long ago. Joining the children in singing nursery rhymes familiar to us all brings a joyful end to the day. Third grade classes enjoy a historic bus tour of Pound Ridge in the fall, stopping to visit a landmarked house before ending up at the museum for a lesson about the one-room schoolhouses. Each student is given a booklet describing the tour, including a map to guide their own families on the same tour later on. 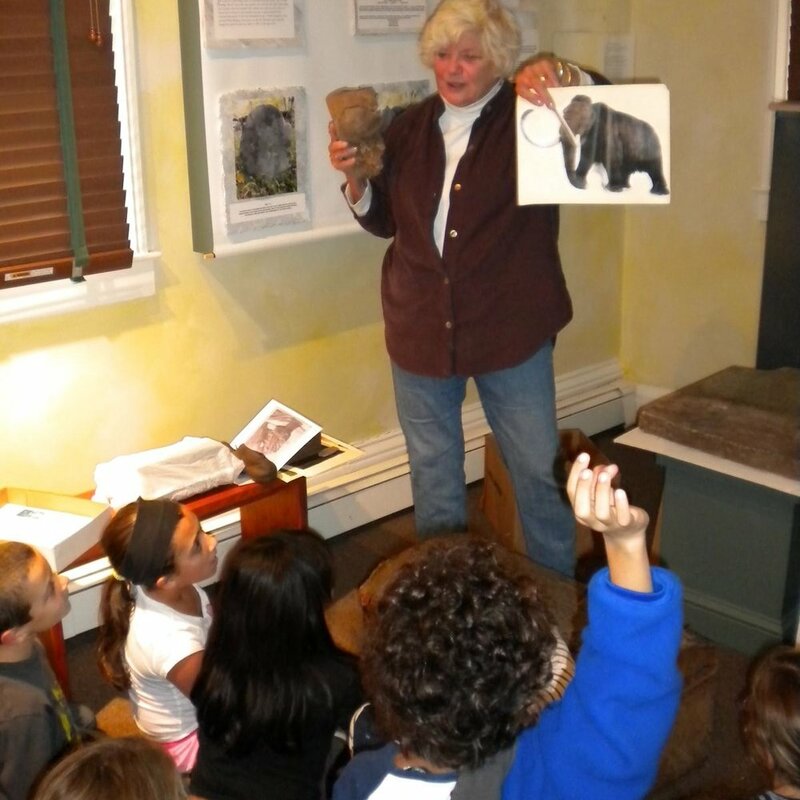 Each Fall, 5th grade classes walk over and visit the Pound Ridge Museum for a lesson about Pound Ridge’s history. Fun activities such as a scavenger hunt in the permanent exhibit to find interesting, fun facts about their town are planned. The Hiram Halle Prize was established in 2016 as a competition among Pound Ridge students attending any high school, with $2,000 going to the creator of the most original, thoughtful and best-executed project that brings a piece of our town’s past to life. The winner of the Hiram Halle Prize is announced at the annual meeting in April.